What exactly is this Duplicate content ? 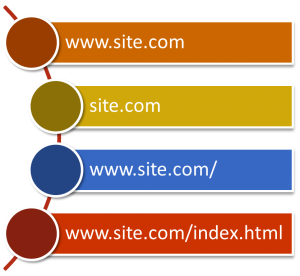 www.site.com and site.com and www.site.com/ and www.site.com/index.html are actually same thing for you and are just variations of your site, but Google take these as 4 different sources and consider them as duplicate content. Which can result in a Google Penalty.